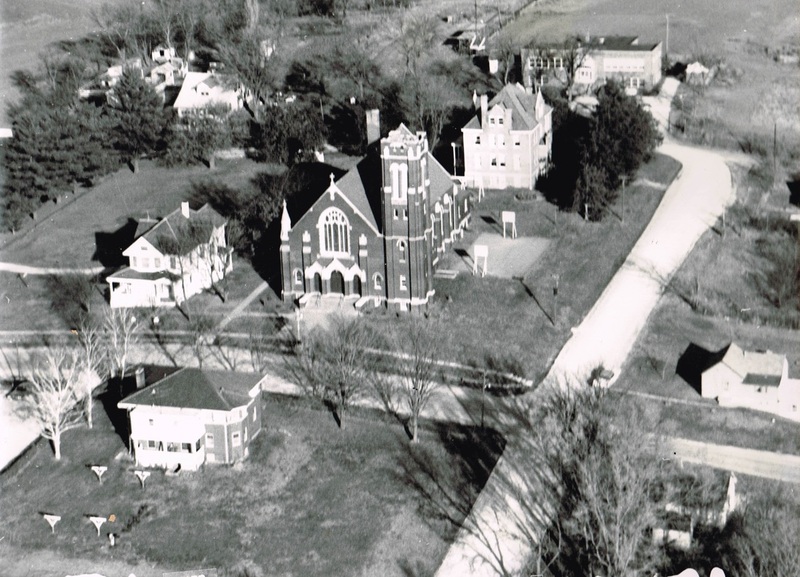 Father Hayes and the 1915 church are to the right of the rectory. 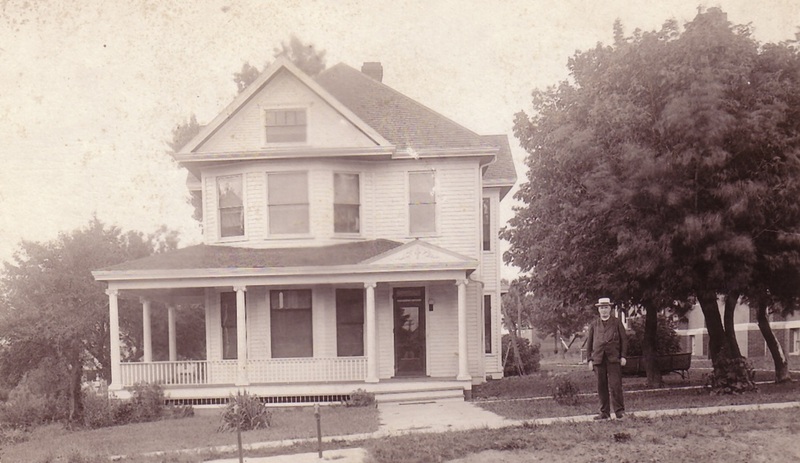 All suitable lumber from the 1880 church was used in the construction of the rectory-first occupied in 1904. 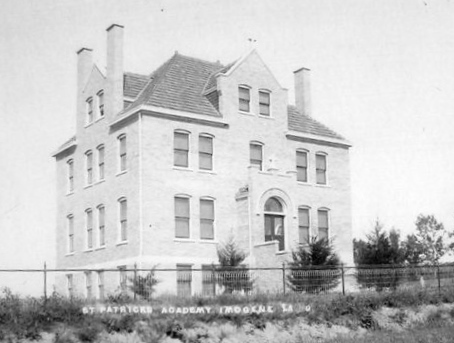 St. Patrick Academy opened September 9, 1907 with an enrollment of 100. 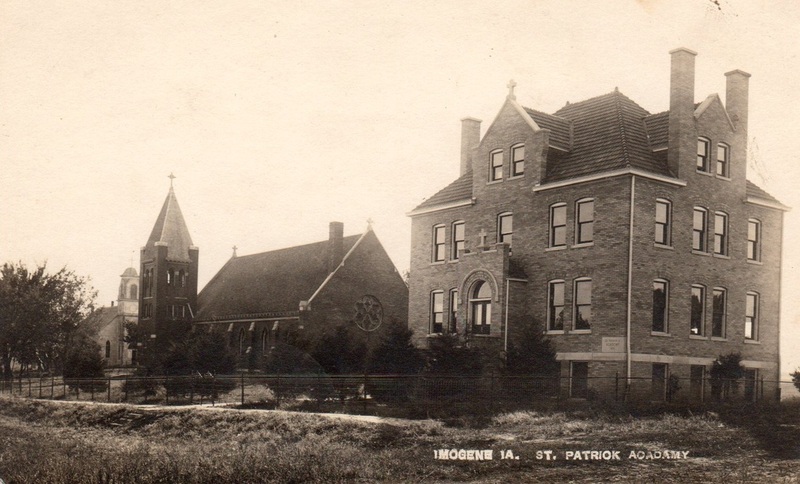 Built as a Presbyterian Church, later used as a German Lutheran Church, became the St. Patrick Parochial School in 1907 when the newly built St. Patrick Academy opened and was already too small. 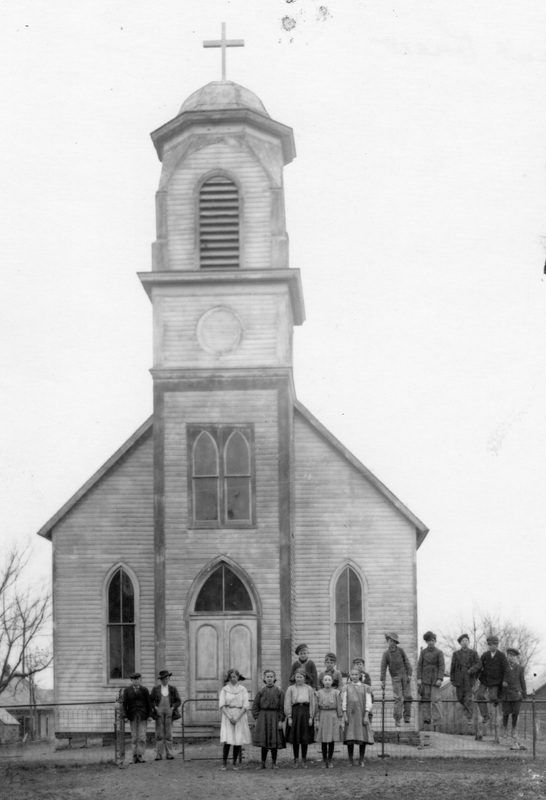 There were 180 children ages 5-15 in the parish that year. 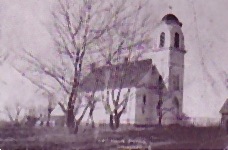 St. Patrick Parochial School was located across the street south of the church; currently the site of the Faith Center. 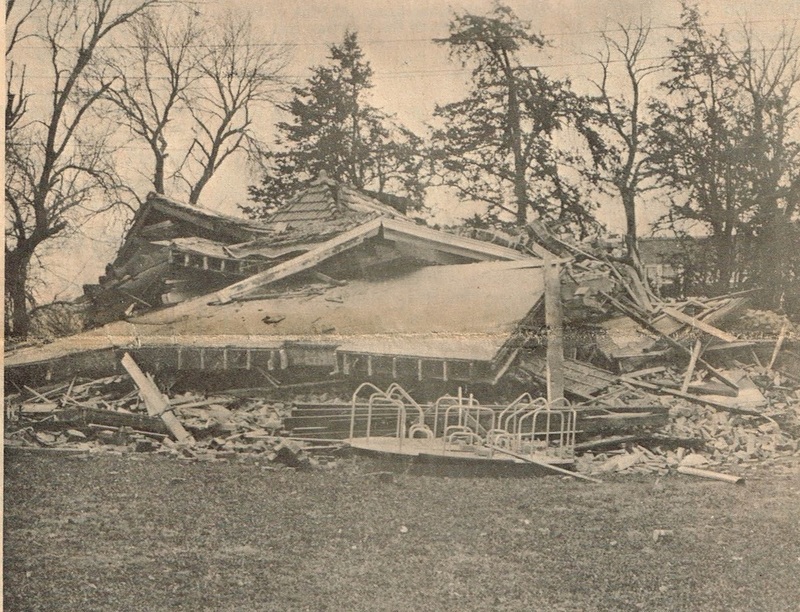 It was torn down in 1919. 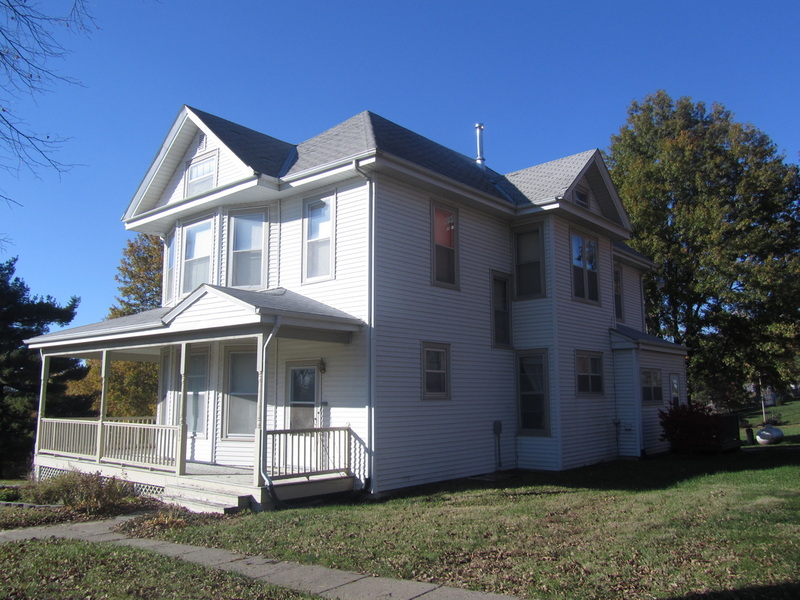 Faith Center - faith formation classes held here on Sunday after Mass; previously a convent for seven Dominican Sisters. Blessed 10/1/1922. 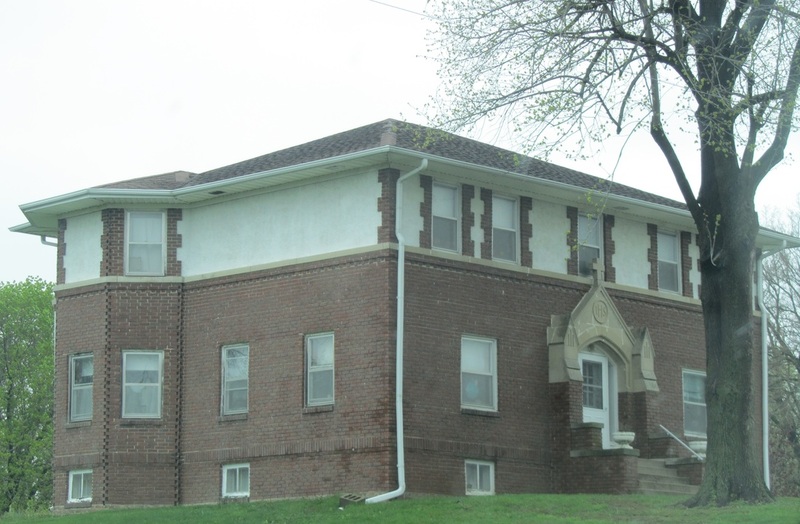 Built on the site of the former St. Patrick Parochial School. 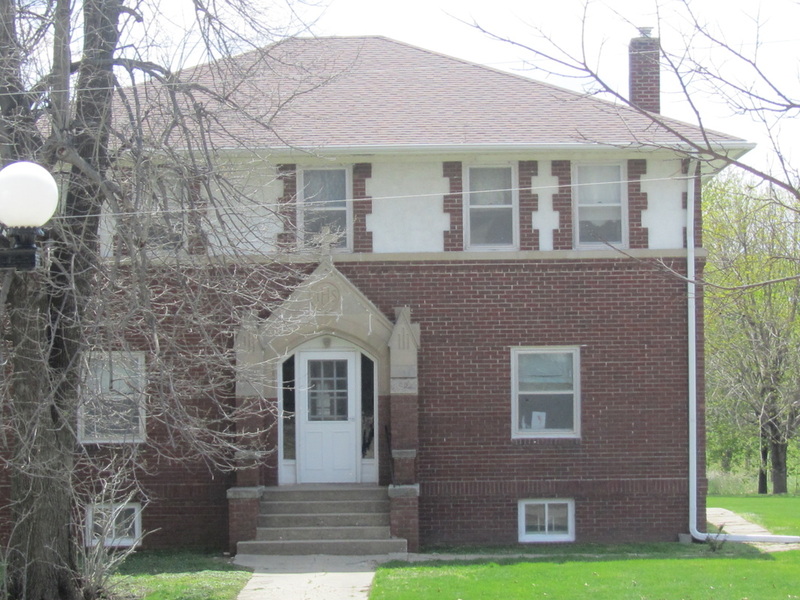 View of the Faith Center from the northeast. 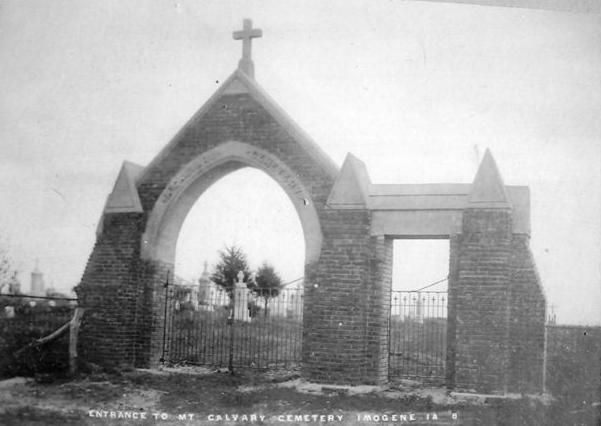 Mount Calvary Cemetery -12/3/1883 -4 acres of land purchased by Father Ryan who became one of the first to be buried there in February 1884. 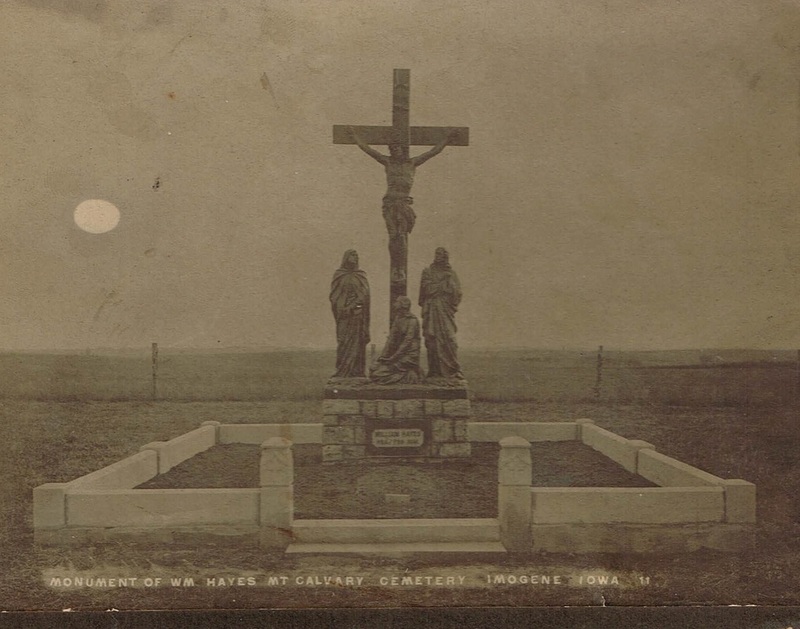 The Calvary Grouping at the south end of the cemetery was purchased by Father Hayes as a monument for his brother William and sister Ellen who are buried there. William's name is noted below the grouping; newspaper reports verify Ellen is also buried there although her name is not shown. 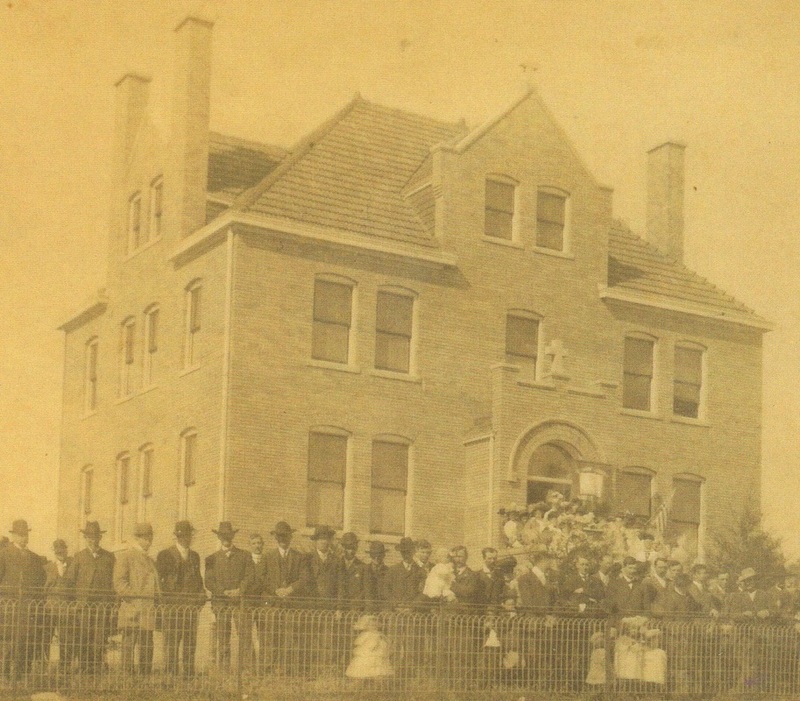 The statue was erected in May of 1892.